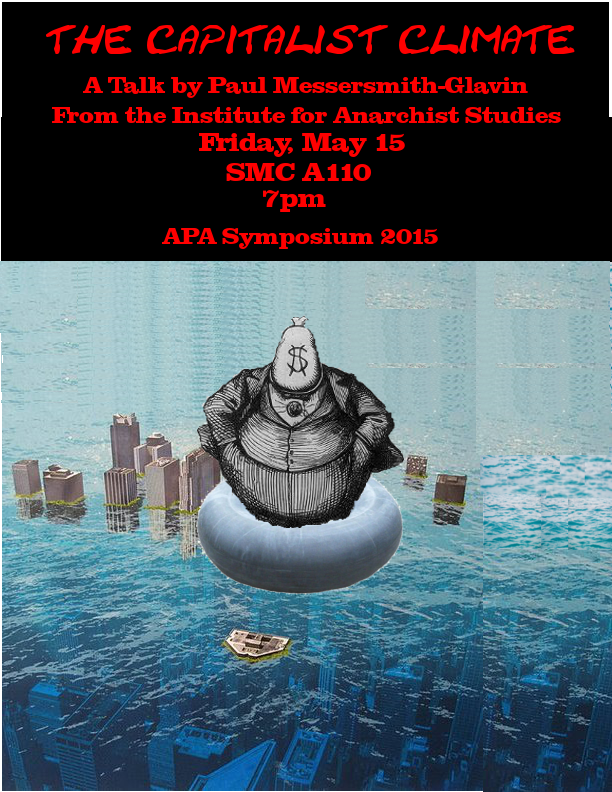 Paul Messersmith-Glavin, of the Institute for Anarchist Studies, will be speaking on climate and capitalism at Knox College on Friday, May 15th, 2015 in Galesburg, Illinois. He is donating half his honorarium to the IAS. This discussion will address specifically how capitalism is responsible for the climate crisis, also looking at how capitalism intersects with patriarchy and racism in creating a changed climate. We will explore to what degree, if any, capitalism is capable of solving the crisis, and the opening this presents to those interested in a better future. We will examine the threat our situation poses, but also the opportunity it offers to fundamentally transform society.